Whitney Houston is dead.... I am really touched by this because I grew up listening to her. I am not a fan of secular music anymore, I listen to just Christian music- but Whitney was just one of those people that I look back at and memories of my father blasting out her most loved albums flood back to mind. She is a beautiful black woman, with an unforgettable smile- all I remember was those perfect white teeth and dazzling eyes- her figure and fashion style was so inspiring to women's fashion even of today, her makeup was so vibrant in the 80's and elegant up until recent years. She was not only a singer 'but a voice'- we would never have another Whitney- really if there was no Whitney where would the recent female vocalists of today get there inspiration? She bought something new and fresh- people would have never expected a black woman to be able to pull off. I watched a touching interview this morning that not much people would acknowledge but it stood out to me- an interview with the last person to do her makeup last Thursday for the event she attended where she would do her last live performance. 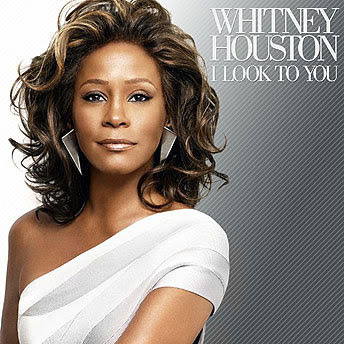 The most touching thing is- Whitney asked her makeup artist (Reginald Dowdley) .... are you saved? (for those who do not know what being saved is- it is to be saved by Jesus Christ). The question is Whitney... were YOU saved? That moment you took your last breath, was between you and God- did you have the opportunity to repent? I pray you did, because clearly you acknowledged that Jesus is our saviour- in many of her interviews she never seemed to forget God out of it, she sang gospel- and if two days before she asks someone if they were saved- in her heart- she believed our Lord is true. I pray you are with our Lord Whitney.